“I’ve participated in many online learning programs, but so far, your format is the best I’ve ever seen. I am so pleased I happened upon your courses.”—Gina M.
“I was very impressed and feel better about my confidence level, how I play and focus now. The course just worked for me and got me over a hump in terms of my motivation and focus.”—Donna O. This course is intended for students at an intermediate to advanced level who want to focus more exclusively on the distinct mandolin style of Bill Monroe. 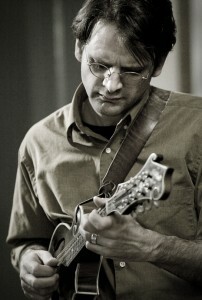 Students will learn many concepts in bluegrass style playing, but with a uniquely “Monroe” take on them. Focus will be on rhythmic drive, the bluesy side of bluegrass, and learning the fretboard in various keys while learning many classic Monroe mandolin solos. Class sessions take place on Wednesday evenings at 9 pm eastern time (except Week 4, which takes place on a Thursday evening), with follow-up practice sessions on Saturdays at 12:15 pm eastern time. Students are welcome to attend the live sessions, but it is not required. All class sessions are recorded and available to view on the class website at the students’ convenience. The course runs from October 1st through December 8th. The week of October 24th and November 21 are off due to Matt’s touring schedule and the Thanksgiving holiday. The are a total of 16 live class sessions (eight class sessions and eight review sessions) during the course. Is the final cost $150.00 or $75.00 when the $75.00 savings is applied? The final cost is $150 ($75 off the normal course fee of $225). Sorry for any confusion! Let me know if you have any other questions. Are you planning a course starting in January 2019? I am very much interested in taking your course 101 Bluegrass Mandolin. Yes, I should be starting a few more courses around January 7th. Bluegrass Mandolin 101 is a likely possibility, as I haven’t taught it for a while. Hopefully I’ll have the courses posted by the end of September, so stay tuned! Hi Matt – For how long will each class be available on the class website once they are posted? Do they expire? Thank you! They will be available for about one month after the classes conclude, but you can also keep all of the materials for future use. That include all videos (short practice videos as well as all class sessions), as I’ll send download links for all of the videos so that you can view them later at your convenience. Since I’m a couple of days late in getting back to you, feel free to email me at [email protected], and I’ll make sure you still get the $25 discount if you do decide to sign up.